Spring and a New England Wedding - We had rain to start, clouds, sun, back to clouds and then wind, gusting wind and more wind!! 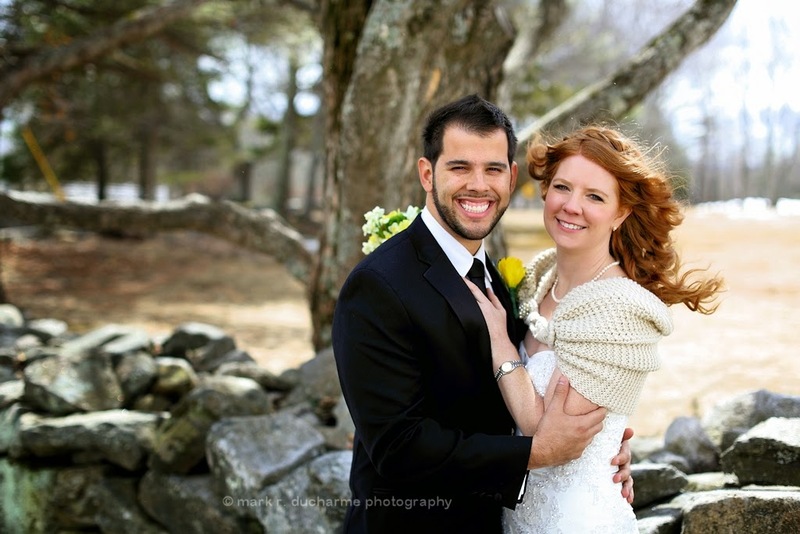 Alfredo & Sara had a New Hampshire wedding today and mother nature really showed our southern guests a true April New England Day. Our ceremony started out in Mason, NH a small rural area really in the middle of nowhere in a quaint small town church....then with reception at the Alpine Grove Banquet Facility for a wonderful midday brunch and continued the celebration throughout the afternoon. I personally wish Sara and Alfredo the best of luck in their future and safe travels back home.